#TBT 11: Happy 4th of July! And because I’ve been so busy with all sorts of other projects, I’ll be making this year’s red, white & blue recipe on 4th of July. 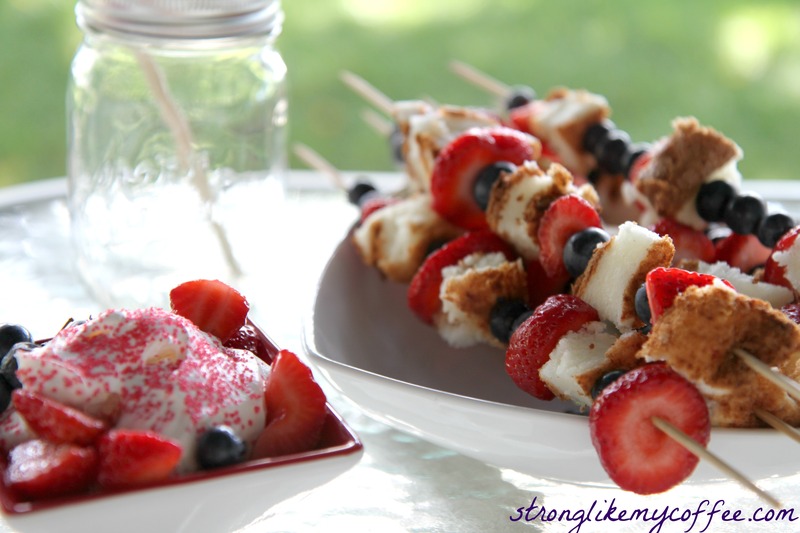 So I have a little throwback post with last year’s light and refreshing summertime dessert that is perfectly patriotic. Fresh 4th of July Dessert! 4th of July means a Friday off of work to celebrate. If you’re making a festive and patriotic menu (nothing like a theme party, right!?) then you’ve probably taken to Pinterest to plan. Red, White, & Blue Overload! This dessert is easy breezy because it takes 4 ingredients, minimal time & effort, and the skewers keep the portion control in check. Light, fresh, and beauuuuutiful if I say so myself. Strawberry slices and whole blueberries are interupted with fat chunks of Angel Food cake. Angel Food cake mixes require only water. Can’t get much simpler than that. I set out a dish of light whip cream for dipping. I like the simplicity and summery quality to this dessert. 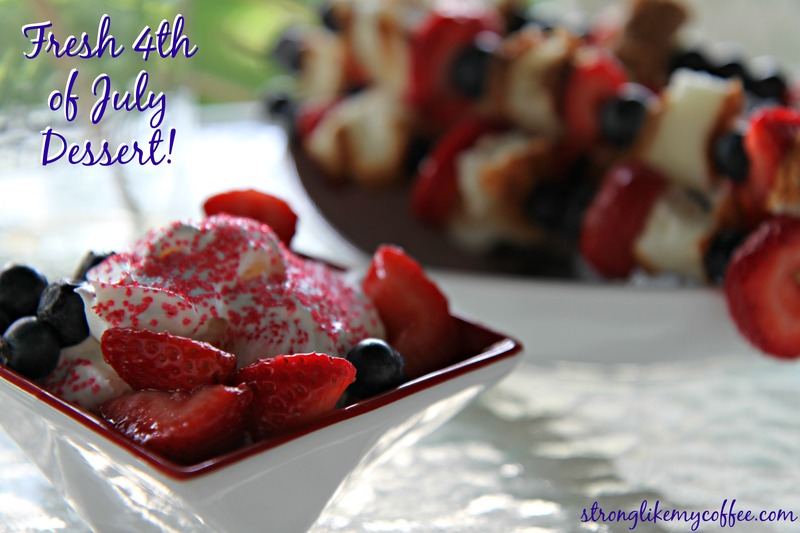 Posted on July 2, 2015, in College, Dessert, domesticated, Healthy Habits and tagged 4th of july dessert, 4th of july recipe, fresh summer dessert, healthy college blog, healthy college girl, healthy college meal plan, red white and blue dessert. Bookmark the permalink. 6 Comments. Looks YUMMY! We have been eating a lot of Mangos lately! And plums…my sister’s tree is LOADED! Happy 4th! Thank you so much babe! I love knowing that you’ve been following for so long. Means a lot :) Stay in touch!